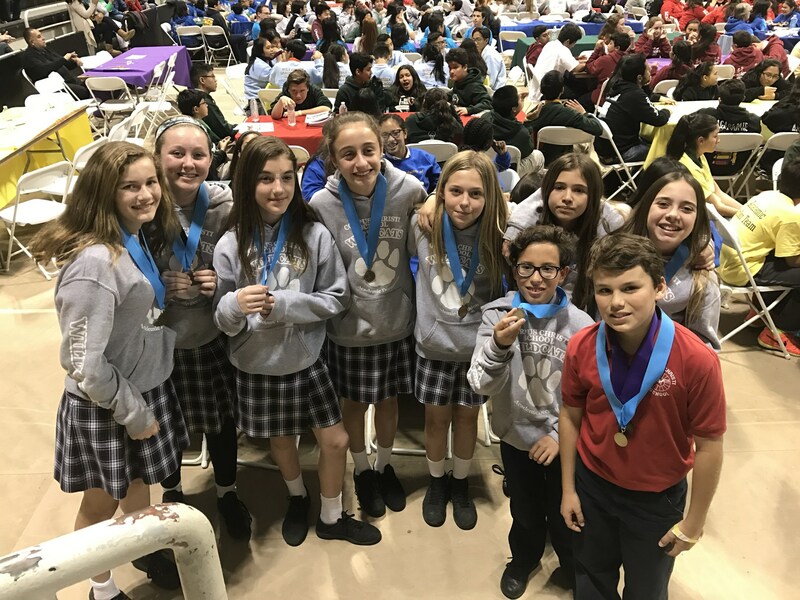 The Corpus Christi Academic Decathlon team competes annually against more than 100 Catholic schools in the Archdiocese of Los Angeles Junior High Academic Decathlon. This daylong event takes place each spring. In order to be considered for the team, our students must be on the Honor Roll and commit to attend the entire daylong event. Additional factors that are considered during the selection process include STAR scores, GPA, prior subject expertise, work habits and behavior, and commitment to other school activities. Our team competes in the Super Quiz, Logic Quiz, and Individual subject tests, consistently taking top honors in individual events.